Visit Cheyenne, Laramie County&apos;s tourism organization, has earned the top industry accreditation for the tourism industry from Washington, DC based Destination Marketing Association International (DMAI). The accreditation program&apos;s goal is to encourage tourism organizations to meet high international standards for all aspects of their operations. The standards include topics such as finance, management, technology, visitor services, marketing, sales, communications, research, and more. "By applying for and receiving this accreditation, Visit Cheyennehas demonstrated a commitment to quality programs and services," said Shelly Green, DMAI&apos;s Accreditation Board Chair. Currently, there are 148 visitor bureaus worldwide with this accreditation. Visit Cheyenne is the only bureau from Wyoming to have earned the status. 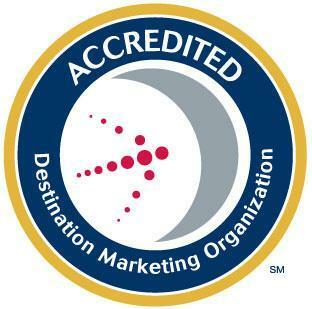 "Visit Cheyenne is very pleased and honored to earn the Destination Marketing Accreditation from DMAI. This designation demonstrates to elected officials, visitors, and local residents that we are meeting international standards for marketing our destination, serving our guests, and managing public funds," said Darren Rudloff, President of Visit Cheyenne. Visit Cheyenne is accredited by the Destination Marketing Accreditation Program (DMAP) of the Destination Marketing Association International, 2025 M Street, N.W., Suite 500, Washington, D.C., 20036, USA, Ph. 202-296-7888.